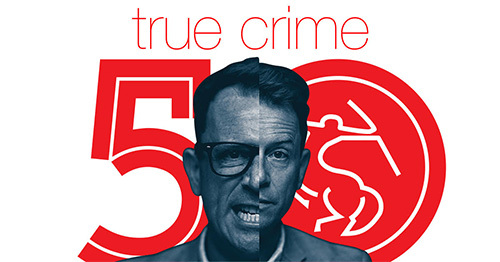 Torquil Campbell returns to his acting roots when he discovers several similarities between himself and Clark Rockefeller, one of history’s most dangerous con men who turned the art of con into high art. The true crime-obsessed Campbell is curious: what differentiates acting a role from trying on a Rockefeller to see how far you can coast on charm and chutzpah? The only way to find out is to meet the real life enigma, which thrusts Torquil into a complex web of truths, half-truths and lies. With nothing on stage but a music stand, a guitarist, and some evocative lighting, it becomes harder and harder for the audience to know whether Torquil himself is, in fact, the greatest con man in history.